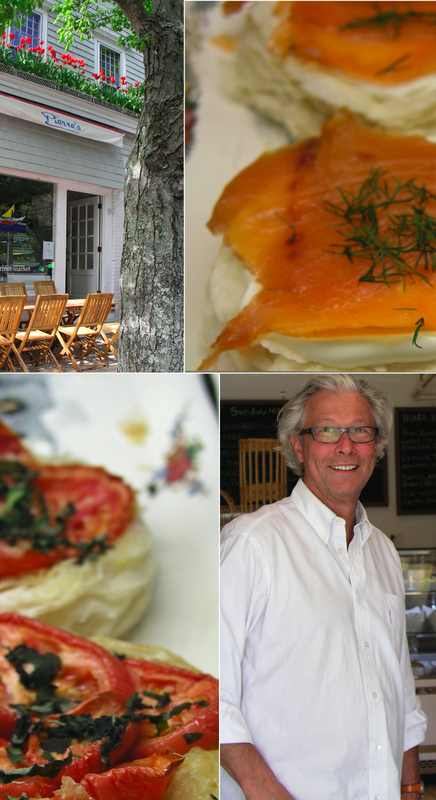 Main Street Bridgehampton, New York is the home of Pierre's Bistro + Pierre's Gourmet Market. You have to appreciate an establishment that has the owner's name hanging out front. The wonderful thing about Pierre's is he is actually there year round, with his bright wide-smile and a friendly bonjour; floating between his restaurant and appetizing French market. 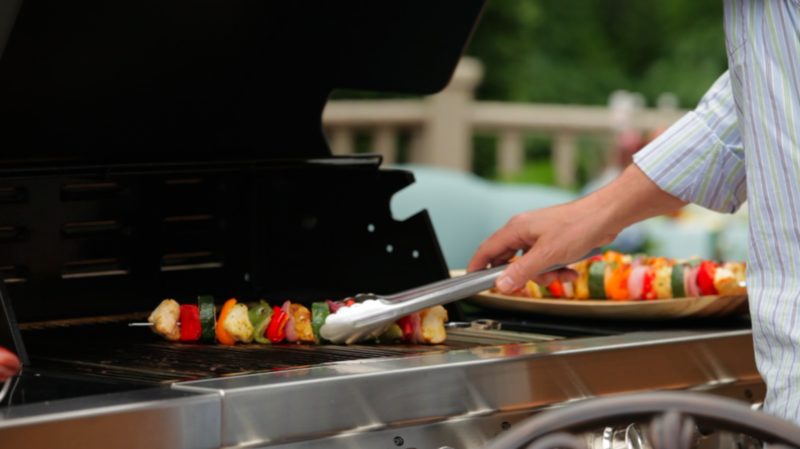 The presentation is exceptional and the gourmet market menu has the flavor of being on French soil. 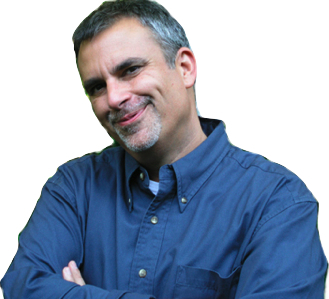 Restauranteur, Pierre Weber is a fifth generation pastry chef. And this is very evident from the execution of his pastries. 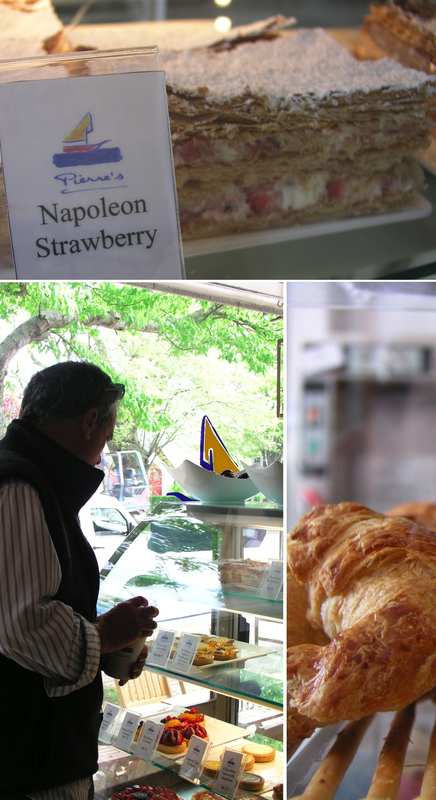 It is the place in the Hamptons for the real deal in mille-feuille. Pâte feuilletée, a flaky pastry (made up of 1024 layers!) is made by rolling and folding butter into a very lean dough at least 4 times over several hours; with critical resting between each roll-in to allow the gluten in the dough to relax between each book-fold method roll-in. Each roll-and-fold makes a tiny layer of dough with another layer of butter, creating layers of flakey pastry when baked. Puff pastry dough contains no sugar and no leaving agents (such as baking powder or yeast) and will rise eight times it's original size upon baking. The puff of the pastry is the result of the butter layers creating steam when baked in a hot oven. This expands the space between the dough layers, resulting into a flaky pastry that crumbles on your shirt when you take a bite. 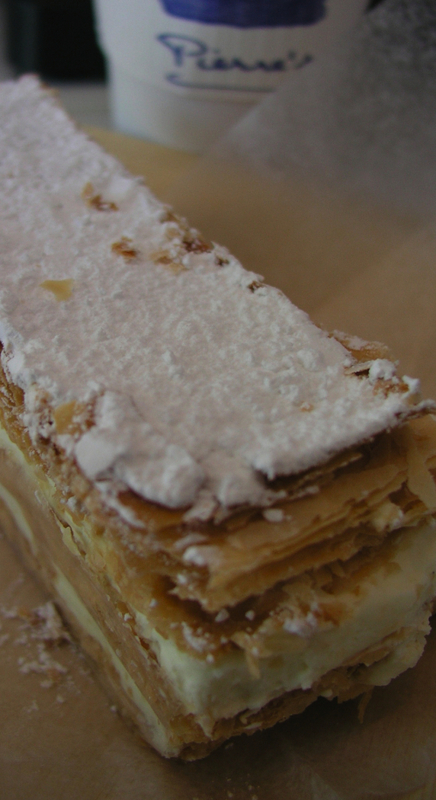 To prepare a classic Mille-feuille aka a Napoleon, requires stacking of a sheet of baked puff pastry, layered with a blending of crème pâtissière (pastry cream and whip cream). Sure, it's a snap to prepare with packaged frozen puff pastry dough, which only requires defrosting and baking. The result will be a flaky pastry, but keep in mind it will be sans the luxurious buttery flavor from a true French pastry. Advice, find yourself an authentic French bistro, like Pierre's.